Dr Reiger is a social historian and health sociologist whose expertise includes historical biography, health services research, qualitative methodologies, critical social policy, and analysis of gender and sexuality. She has taught at the then Phillip Institute of Technology and, since 1989, at La Trobe University. Her published work has explored the extension of technical rationality to the household, maternity reform movements in post-war decades and the relevance of critical theory to social relationships in health care. 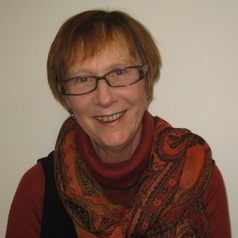 In recent years, her research has focused primarily on the management of childbirth; the impact of new public management on health services; inter-professional relationships in maternity hospital workplaces; professional cultures in obstetrics and midwifery; Australian policies on overseas trained health workers; and public participation and citizenship claims. She is particularly interested in quality improvement strategies in health care and in considering their relevance to making tertiary education more ‘student-centred and staff-friendly’. Having recently retired from teaching, she holds an Honorary Research Associate position in the School of Social Sciences at La Trobe University and is also a visiting professor at Queen’s University Belfast from 2007-12. (with Pranee Liamputtong) ‘Researching reproduction:’ , in The Sage Handbook of Qualitative Methods in Health Research, Sage, London. (with Karen Lane) Working together: ..., Australian Health Review, 33,2; 315-324. (with Keleher, Helen) 'Managing professionals: ... Victorian MCH coordinators',, International Journal of Nursing Practice,10 (2), 58-63. Our Bodies, Our Babies: the Forgotten Women’s Movement, Melbourne University Press, Melbourne. The Disenchantment of the Home: Modernizing the Australian Family, 1880-1940. , Oxford University Press, Melbourne.